New to the "Problems in European Civilization" series, this volume offers secondary-source essays organized around the major controversies and interpretations of the history of witchcraft. In four parts, the text examines the major areas of recent scholarship: intellectual foundations and demonology (Part I); the political, social, and economic contexts of early modern Europe (Part II); accusations, trials, and panics (Part III); and gender and witchcraft (Part IV).The text's pedagogy--a hallmark of the "Problems in European Civilization" series--includes chapter and essay introductions, timelines, illustrations, maps, and suggested readings. This volume is suitable for courses in Western Civilization, as well as courses focused exclusively on witchcraft or European women's history.The selections included in this volume represent the latest in research on witchcraft and witch hunts; many of them explicitly test the ideas that were developed in the 1970s, when academic research on witchcraft saw its first high point.Several sources focus on areas where witch hunting was most intense, such as eastern France and the Holy Roman Empire, while others cover areas in which few hunts took place, such as Norway and Italy.The text incorporates recent studies that have been particularly influential in the field, including works by Stuart Clark, Robin Briggs, and Wolfgang Behringer. 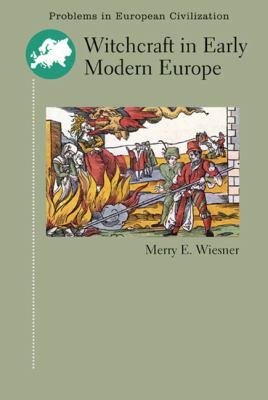 Contributions by scholars from the United States, England, Hungary, and Australia demonstrate that witchcraft research is truly an international enterprise.Wiesner, Merry E. is the author of 'Witchcraft in Early Modern Europe ', published 2006 under ISBN 9780618474806 and ISBN 0618474803.